I always get asked questions at social occasions about how I manage to stay ‘skinny’ when I eat so much… This is usually when I’m on my third plate at the buffet or I’ve just munched a bag of crisps and a bar of chocolate. However, what many people fail to realise is that they’re seeing me on a cheat day or even just an off day where I’m not counting calories or tracking what I’m eating. The reality is I eat healthy, balanced meals – particularly at dinner time! Some weeks are plainer and more repetitive than others dependant on what we’re doing and what I’m focusing on. As you can see above there’s always a good balance of protein, carbs and fats on my plate. 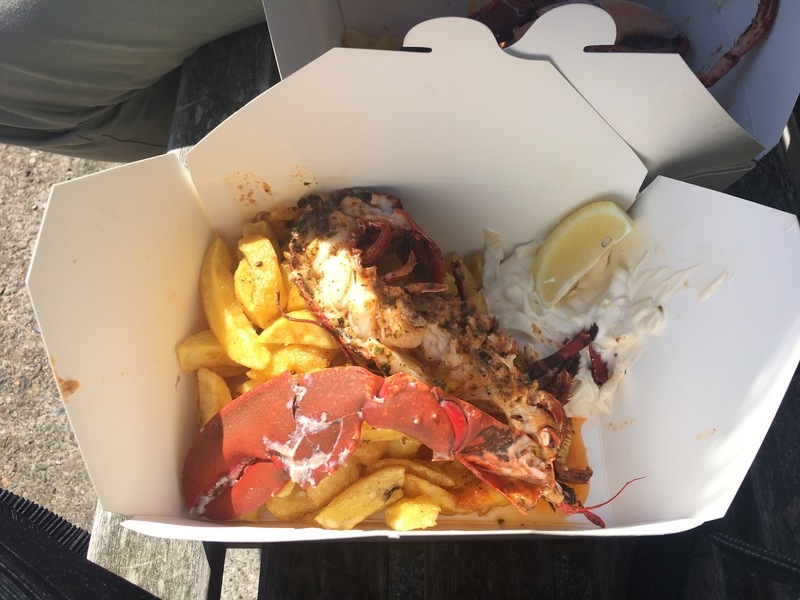 Last Sunday we went to North Berwick Harbour to try out a local pop-up, The Lobster Shack… And it did not disappoint. If you ever find yourself on the Scottish coast, you have to give it a go – and don’t skip the chips! Then on Thursday we went to a wine tasting in Edinburgh. We ended up in Pickles, a gorgeous, cosy little wine bar in the city, testing our new found knowledge. What goes perfectly with a bottle of red wine? 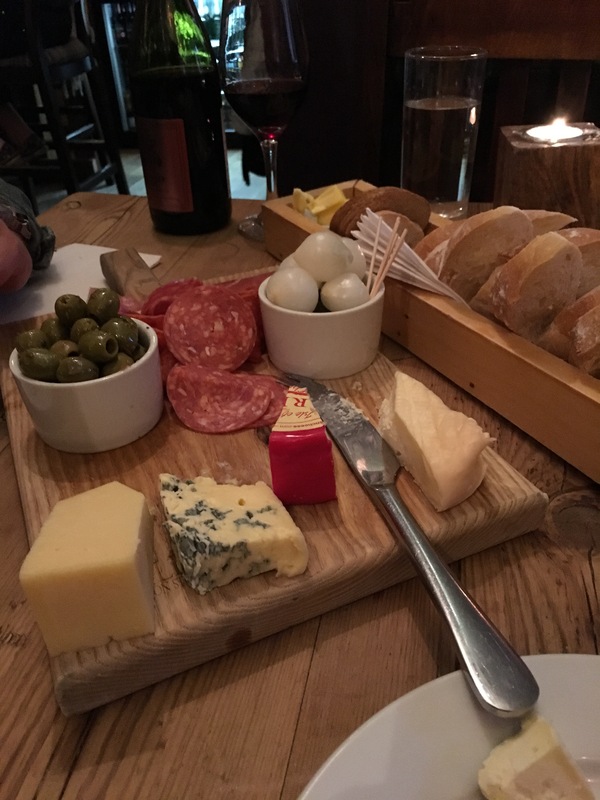 A cheese and meat platter – which I couldn’t even manage to get a picture of before we began tucking in! As I was then feeling a bit worse for wear on the Friday, I decided to bake after work. 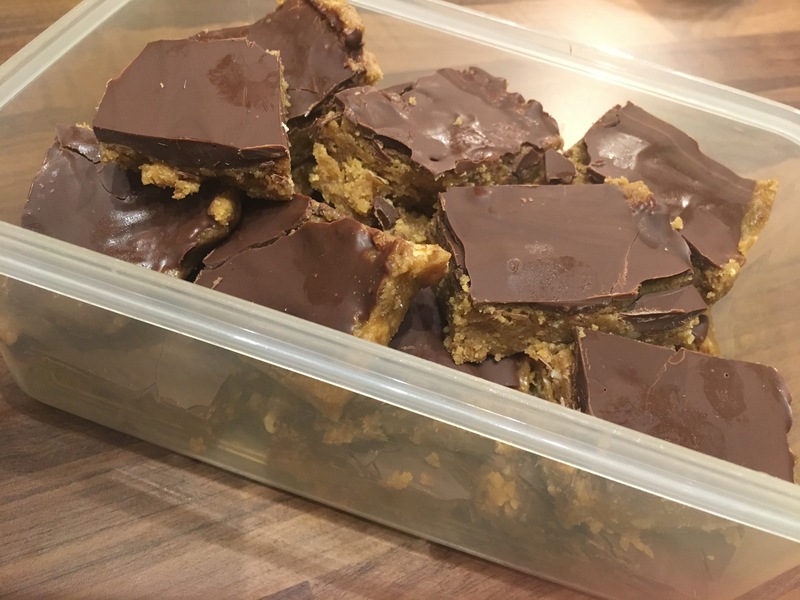 Peanut Butter Slice… Mmm! Basically, what I really wanted to get across in this post was that yes, I’m strict with my diet and exercise 80-90% of the time, but I also allow myself to live and enjoy the things I want to have sometimes! I haven’t gained a single pound despite eating what’s pictured above. It’s all about sustainability and after maintaining this lifestyle for around 2 years now I’ve found what works for me. It’s not been 2 years of plain sailing but I’m happy, healthy and I’ve never given up!